It's easy to record a commentary using a microphone, PC speakers or other sources as you record your screen. Give your movies and presentations the personal touch by making an appearance with a webcam recording. Start and stop recording at set times, or when applications run and close. You don't have to be tied to your computer. Express doesn't add a watermark or limit movie length unlike many other free screen recorders. 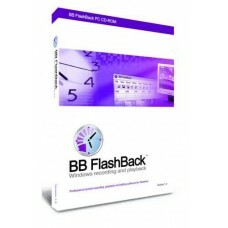 The free screen recorder allows users to take notes while recording, quickly and easily. Easily record video from any window or area on your PC screen - even from multiple screens.